Discover an amazing variety of shopping experiences, with the added satisfaction of paying no sales tax! For your shopping pleasure, the Monadnock region has a wonderful array of unique stores which are fun to explore. You’ll often find things you won’t find anywhere else. 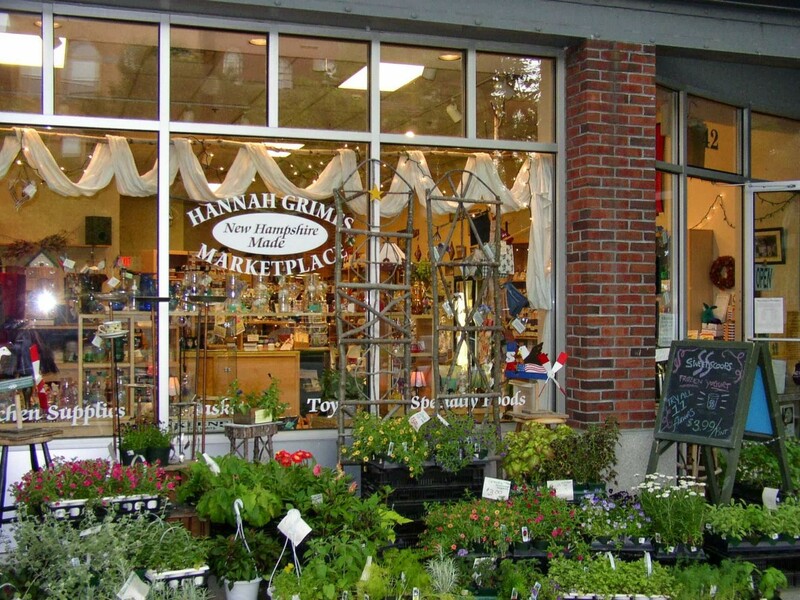 A great place to start is the Hannah Grimes Marketplace in downtown Keene. Local artists and makers of all sort sell their wares in this great little shop. Thanks to New England’s rich heritage, there are tons of great antique shops across this region- considered to be in the heart of New England. Antiques & Collectibles Mall of New England in Greenville and New Hampshire Antique Co-Op in Milford are large facilities with a surplus of antiques to hunt through for the perfect treasure. Seaver & McLellan in Jaffrey offers high-end antiques and collectibles for those with discerning tastes. Peterborough’s Twin Elm Farm is located in a charming 1800’s farmhouse and barn – filled to the rafters with antique, vintage-style, and one-of a kind home furnishings and accessories. Our antiques page has more options – from rustic trading posts to elegant interior designers. There is a rich history of hand-crafted goods in the Monadnock region. Imagine a product dating back in design and style over two centuries, which has grown so much in value and beauty that today it is sought after by collectors and enjoyed by country decorators while being handcrafted in an environment of historical significance. You’ll find it all at Frye’s Measure Mill in Wilton. Thomas R. Longacre Antiques in Marlborough is open by appointment, or you can find them at one of many antique shows throughout the year. With his degrees in history and art, Tom has dedicated over three and a half decades to the discovery, study, and placement of antiques and folk art. Gibson Pewter was founded in 1966 by Raymond Gibson and run as a seasonal family “cottage” business for more than 20 years. Today, thousands of people from across America, and across the globe, include a visit to Gibson Pewter in their travel plans for the opportunity to watch Jon and his family create their award winning pewter. There are a plethora of clothing stores all over the Monadnock region. Many offer fine women’s clothing like Miranda’s on Main, an upscale women’s clothing store in downtown Keene with another storefront in Peterborough. You’ll also find men’s fashion at Miller Brothers Newton, a 150 year old classic men’s clothing store. Sportswear is essential for all the hiking you’ll be doing, so check out Sam’s or Ted’s- both in Keene. Also, check out the fantastic consignment stores – there is one in almost every town, and you’ll be sure to find a few treasured pieces – brand names, vintage, and international pieces. One of the main industries in the Monadnock region during the 1900s was printing! Check out some antique, collectible, and out-of-print books at Bequaert’s Old Books in the historic village of Fitzwilliam. The Toadstool Bookshop is a great shop in Keene with an alternative location in downtown Peterborough. It boasts new books and a cafe! If comic books are your jam, try Escape Hatch Books in Jaffrey or Comic Boom! in downtown Keene. While you will find traditional American box stores in the Monadnock region, like Walmart and Target, you will not find any American malls. Shopping in the Monadnock region is primarily focused around lively downtown districts. You will find boutiques and curio stores mixed in between clothing shops, bookstores, and local cafes. Some great boutiques in downtowns with rich shopping experiences include Robin’s Egg in Milford, Ruggles & Hunt in Walpole, Ann Henderson Interiors in Keene, The Thrifty Bear Boutique in Jaffrey, and The Black Swan in Peterborough. Check out our shopping page for even more options!